Model homes are open daily. 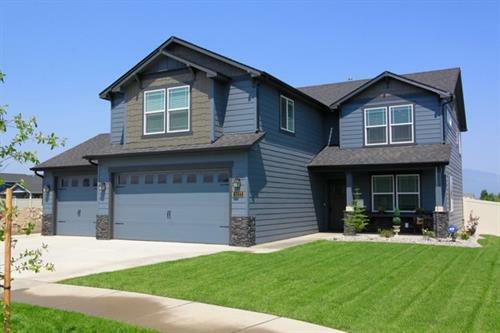 Established in Redmond, Oregon in 1989, Hayden Homes has provided 15,000 new homes to price conscious, value-driven homebuyers in underserved, secondary markets throughout Idaho, Washington and Oregon. Hayden Homes continues to be the largest privately owned new home builder in the Pacific Northwest. With a commitment to building a strong community together, Hayden Homes has contributed $2.5 billion to local economies and creates more than 5,500 jobs annually. Hayden Homes supports philanthropic efforts in the communities in which they build and have contributed more than $13.3 million in charitable donations with the flagship of their giving through the 501(c)(3) Non-Profit, First Story. To date, First Story has provided more than 70 deserving and capable families throughout the Pacific Northwest with a safe, healthy affordable home and a first step toward financial freedom. The Hayden Homes brand family of companies includes Simplicity by Hayden Homes, Wise Size Homes and Hayden Homes, all providing an unparalleled selection of opportunities for those looking to purchase a new home. Currently Hayden Homes is building in several communities throughout the Inland Northwest in Spokane and North Idaho, including in Hayden, Post Falls and Rathdrum.